A finger joint fusion for arthritis, is an operation that involves removing the damaged ends of the joint, including the worn cartilage, and compressing them together until the bone has grown across the joint. Finger fusions are often performed for osteoarthritis. The most common joint to be fused is the distal interphalangeal joint (DIP joint). This is the end finger joint, just behind the nail. Finger arthritis usually occurs in patients over 40 years of age. The articular cartilage, which is the slippery lining of the surface, has been worn away, and the exposed bones rub against each other, causing pain. Therefore a small joint fusion, such as this, is very successful at reducing this pain. There are very few functional limitations as a consequence of fusing the DIP joint. Patients often present with a painful, lumpy joint and a decreased range of movement. Finger arthritis usually has a stiff swollen joint, often with knobbly bumps. There are very few non operative treatment for DIPJ arthritis. 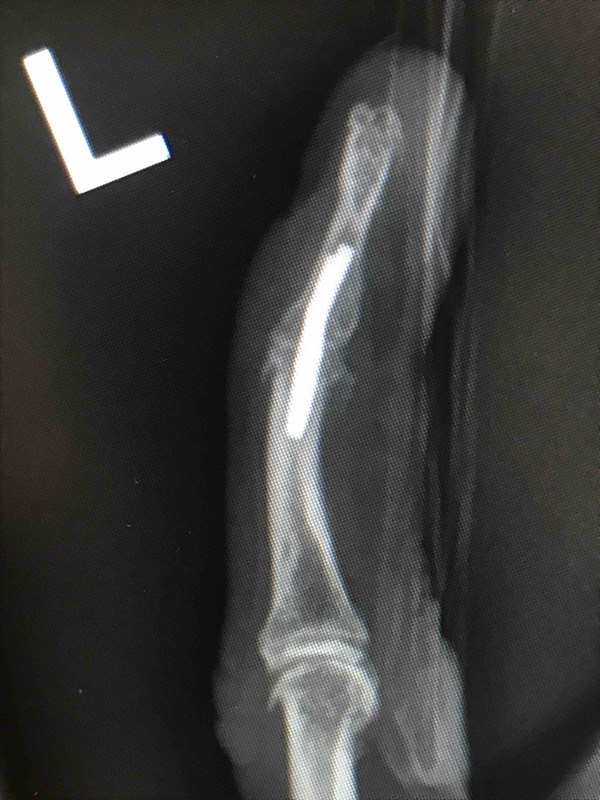 Small splints can be worn but often get in the way and steroid injections are quite painful and often do not work as the joint is so small and difficult to inject even with image guidance. The surgery usually takes place under local anaesthetic, under x-ray control. An small incision is made on the back of the joint. The tendons are divided and the underlying bone exposed. The bone ends are carefully prepared by nibbling the damaged cartilage and bone and pressing the bones together. The bones are then held with a variety of fixation devices, including buried or exposed wires, internal screws or staples. The wires are kept in place until the bone has united, usually somewhere between four and eight weeks whereas the screws and staples are generally a permanent implant and do not need removing unless they are causing a problem. There are a number of different methods of fixation of the DIP joint and these include exposed wires, buried wires under the skin, internal screw fixation. The results of each type of surgery are very similar, and generally speaking a 90% chance of the bones healing across can be expected. I do not use exposed wires to fuse the joints in normal cicumstances as they can be awkward for patients and worry about knocking them. There is also an increased risk of inefction using exposed wires. I prefer to use internal metal work, either screws or staples. Here is an x-ray on a patient whose DIP joint was compressed with a headless screw. Using a straight screw the joint is usually fused straight position. However, using a internal memory stable such as the Stryker X fuse, a predetermined amount of flexion can be introduced to mimic normal finger DIP posture. This is shown in the photographs below. The skin is stitched with absorbable stitches and the wound covered and finger protected with a small Plaster of Paris slab. An appointment will be made to see my hand therapist within a week for a dressing removal and splint to be made. My hand therapist will often give a small splint to protect the end of the finger for the first few weeks after surgery. The wounds need to be kept dry for 10 days until healed. Once the bone has grown across the joint, a rapid return to function can be expected. The main risk is the bones not growing together. This occurs in approximately 5-10% of cases. The vast majority of patients undergoing this operation are very happy.